Murfreesboro is the county seat of Rutherford County. It is located 35 miles southeast of Nashville and is considered to be the geographic center of Tennessee. A stone monument marks the official site on Old Lascassas Pike, about 0.5 miles north of Middle Tennessee State University which now has the highest undergraduate enrollment in the state. 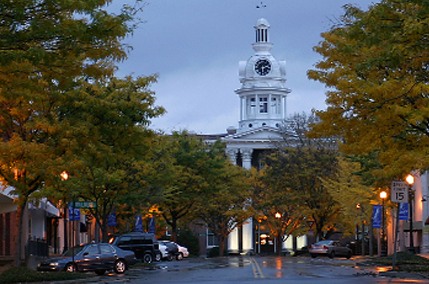 Once a small community, Murfreesboro has grown into what is now the sixth largest cities in Tennessee, and has 3 parks including Old Fort Park, Canonsburg Park and Barfield-Crescent Park, several art centers and several museums.